Now that you have learned the basics of playing the guitar and are comfortable using a pick while playing, you might be ready to move on to fingerpicking. It’s a common way of playing the guitar and there are plenty of songs you can use to learn and practice with. 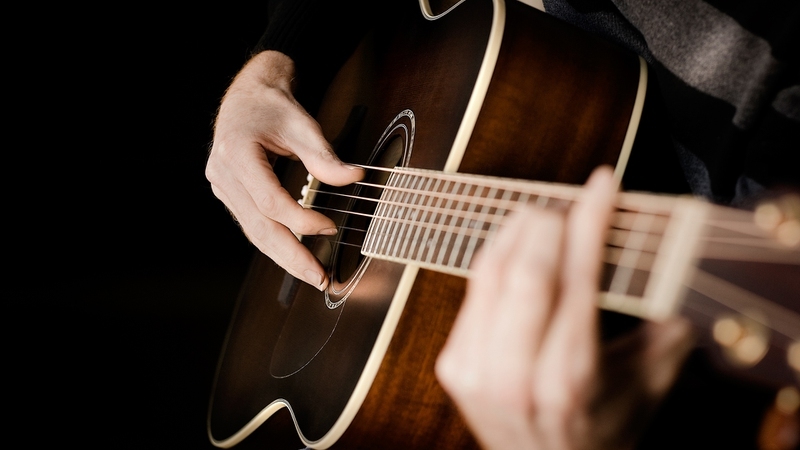 Below is a list of some of the best fingerpicking songs so that you can improve your guitar-playing skills. The list below is a good place to start practicing your fingerpicking skills as they don’t involve many chords or are slow enough, so you can keep up with. Check them out! All the following fingerpicking songs are sort of ordered by the ease. Enjoy! Probably Led Zeppelin’s most famous song, everyone will learn to play this one at some point. While Jimmy Page has played some of the most complicated guitar work, this one is straightforward in terms of chords. There is a bit of memorization and the position of the hand on the fret board is where you may have some trouble. But still, it’s not too tough a song for you to work on. Blackbird by The Beatles is not as complicated as it actually sounds. There are few chords and the song is slower-paced. Blackbird involves memory for the repetition of the chords, and the hand positions on the frets are what you need to focus on. As soon as you catch these 2 key points, then you will play it well enough in no time. This song by Eric Clapton can be a bit tough for beginners, not for its fingerpicking, but for its complicated chord structure. It is a slow-paced song which will help with learning, but it does take some time. This song by Kansas isn’t too complicated. Its basic chord structure repeats itself through the entire song so to learn it is just a matter of memorization. Then you will have to learn the chord changes. The best way is to start repeating the C chord over and over until you are confident with your playing, then move on. A rare ballad by the heavy metal band Metallica, the beginning of the song sounds easy to play, but it may get very complicated in the latter part. There are four parts of fingerpicking to the song, including the intro, verse and two different solos. It involves some difficult hand fret work and quite a few chord changes. This is more suitable for those who have more playing skills. This great song by Led Zeppelin may sound complicated at first, but it is quite easy to learn. There are few chord changes, making the song easy for a beginner. The pattern of the chords is repetitive for easy memorization. This song by the Red Hot Chili Peppers is a bit complicated. It might be best to listen to the song a few times first to have the melody firmly in your head before attempting to learn to play. Anyway, the song is easier to learn when broken down into four separate sections. You should hold the guitar in a comfortable position to play. It will keep your fingers and wrists comfortable. Rest the curved part of the guitar on your thigh while seated and keep your thigh slightly elevated. Your fingerpicking hand should be over the sound hole in the guitar. It should rest comfortably over the strings, so there is no tension in your hand or wrist. To help you learn how to play without looking at your hand, place your middle finger, ring finger and thumb on different strings. This will help with your dexterity. With your fingers and thumb, pluck each string one at a time. Start with the string under your thumb and move down the strings in order of finger placement. Then move back to your thumb and start over. Repetition is the key. Once you’ve gotten comfortable with moving your fingers one at a time, move your fingers to different strings. This will help increase the diversity with which you play, the independence with which your individual fingers move, and help you develop different styles. Start off slowly moving your fingers. Once you’re comfortable, start increasing the speed that you’re playing at. This will increase the independence of your finger moves and your skill at fingerpicking as well.